Anthropomorphic furniture. Gets me everytime. Even when (especially when?) it appears to be a handicapped shower assist. oh, good call! 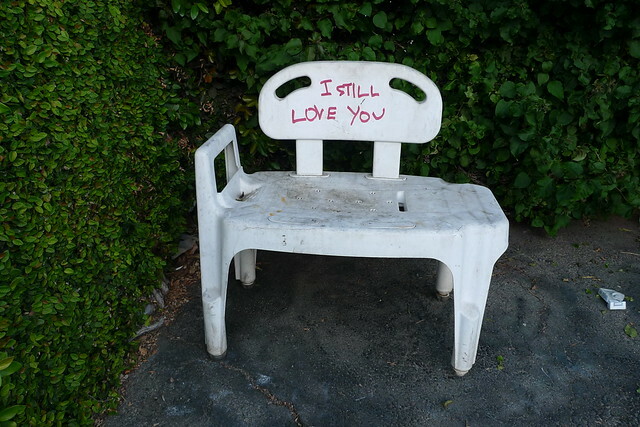 i was thinking it was just a terribly ill-conceived bench. could the message be for the cigarettes? i know i still love them (though i smoke them no longer, stupid...science).